Best baristas in Portland, excellent customer service, fun & friendly! — Even Keel Coffee Co. Located in the heart of Portland's Old Town Chinatown neighborhood. Our team is small, but mighty. Because of our size, we are able to cater directly to the customer, through excellent service, consistency, and quality. We take the time to get to know our regular customers, and look forward to becoming true community members. The team is passionate about becoming an integrated part of the Old Town neighborhood. Emily has been working in the coffee and restaurant industry for over 10 years, primarily in San Francisco, CA. New to Portland, she’s looking forward to exploring the city (and inevitably getting lost), tasting her way through the multitude of coffee shops, and hiking as many local trails as possible—all when she’s not behind the scenes of Even Keel working excitedly to build partnerships and serve quality products to the neighborhood. Originally from London, England, Will recently moved to the US with his lovely wife, Al. 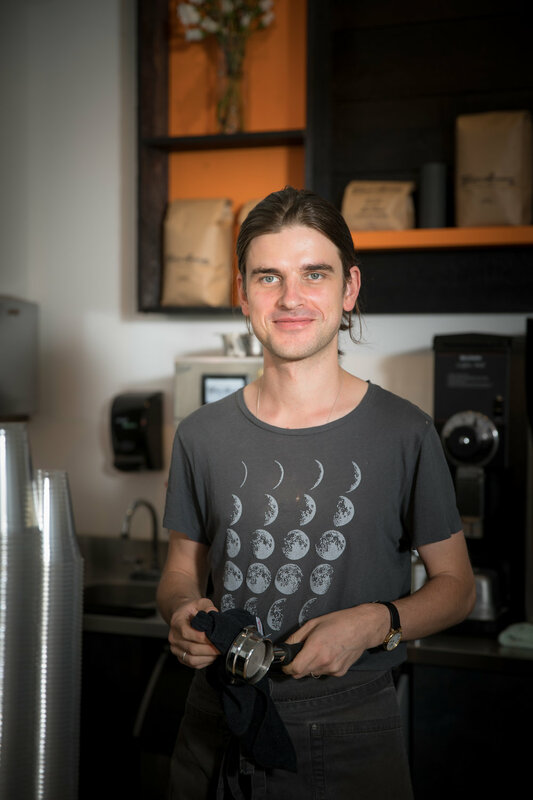 A musician by trade, he is also passionate about speciality coffee and trained as a barista at the London School of Coffee. He loves Japan, Tolkien, classical poetry, and slide guitar. His favorite drink is a well extracted Americano! Beth has been working as a barista for over 3-years now, and is new to Portland by way of Denver, CO. Along with her passion for coffee, she loves belting out Meatloaf songs at karaoke night, watching old-school slasher films, relaxing nights in the woods camping, dancing at live local music shows, and cooking food for whoever will let her feed them. She is thrilled to be part of the team at Even Keel!